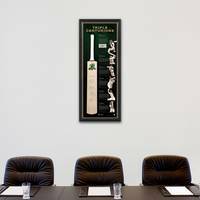 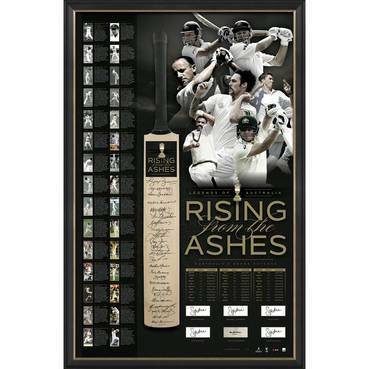 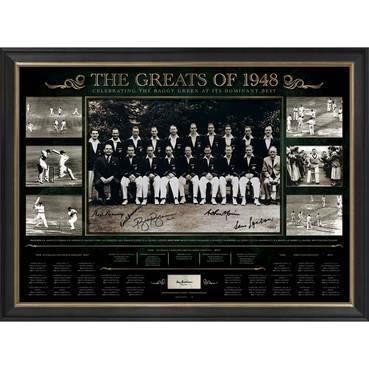 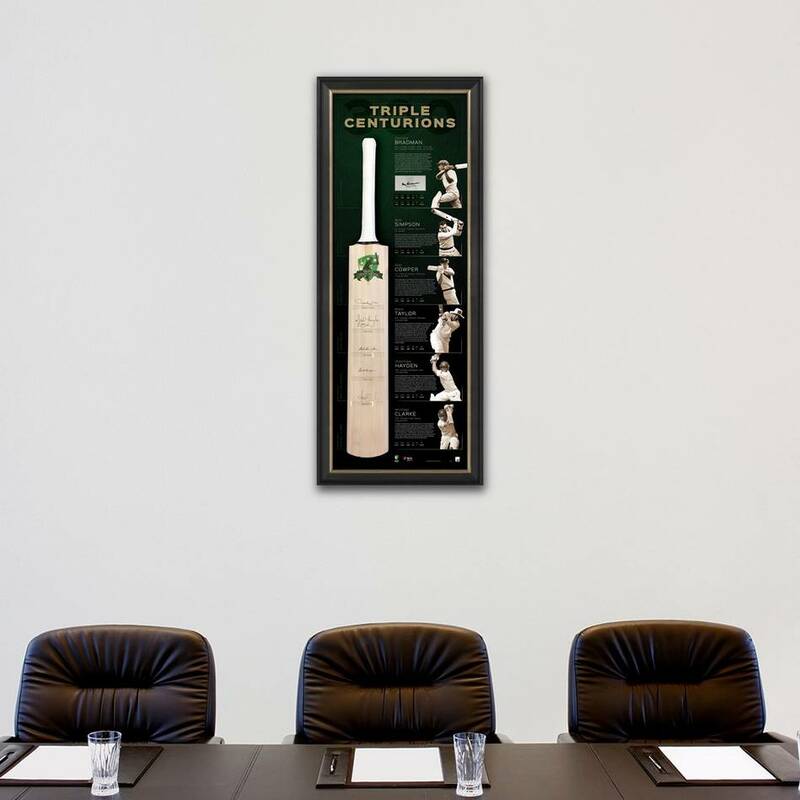 Official Memorabilia, in conjunction with Cricket Australia, is proud to release 'Triple Centurions', commemorating the six Australian Test Cricket legends who have reached the historic triple-century milestone. 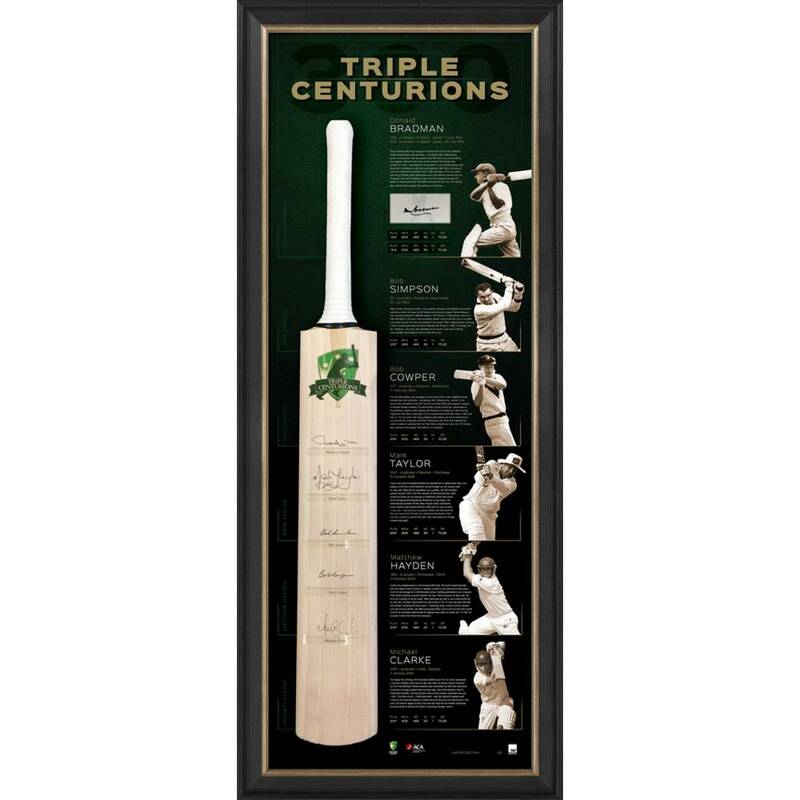 Featuring the signatures of all six legends, 'Triple Centurions' is strictly limited to just 25 editions worldwide. 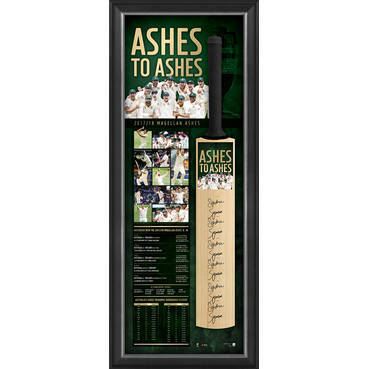 Secure yours now as this small quantity will not last long!